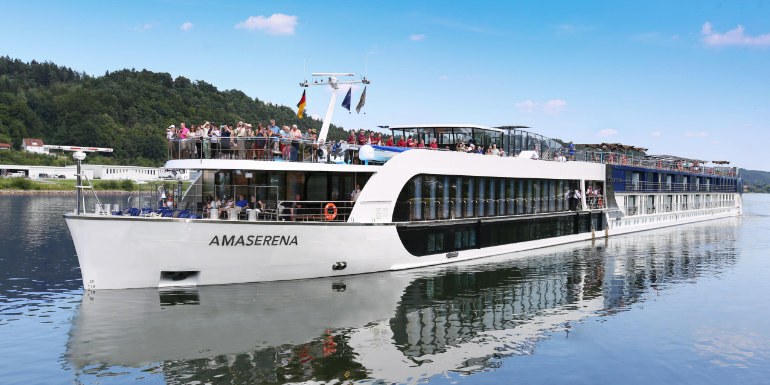 Dreaming about floating along the scenic waterways of Europe, but wary of the high costs that show up when you plug in high-season summer dates? 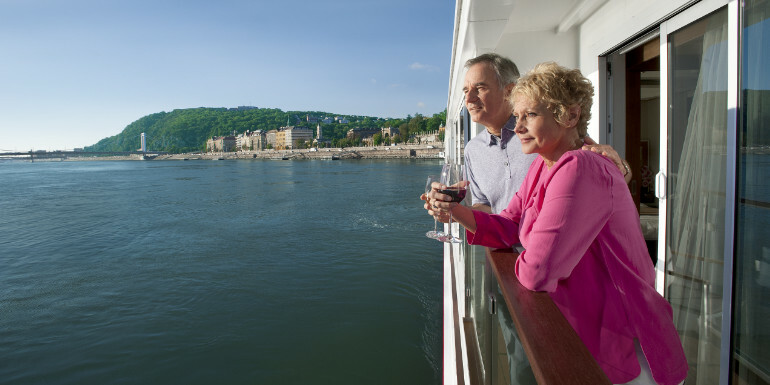 If you know the two magic words “shoulder season," you don’t have to miss out on the spectacular scenery, rich culture, and exceptional wine and cuisine that await when you set sail down the scenic rivers of Europe. In fact, shoulder season offers substantial savings—anywhere from 20 percent to 40 percent off peak season—while avoiding the summer crowds and other perks that come with cruising late and early in the season. Just follow these six tips and you’ll be sailing through Europe in no time—with cash left over for souvenirs. First of all, you need to learn the lingo to find the best places. Forget about plugging in “off season” as you would with ocean cruises. Since river ships actually dry dock during the winter (when they’re “off”), search for “low season” or “shoulder season”. 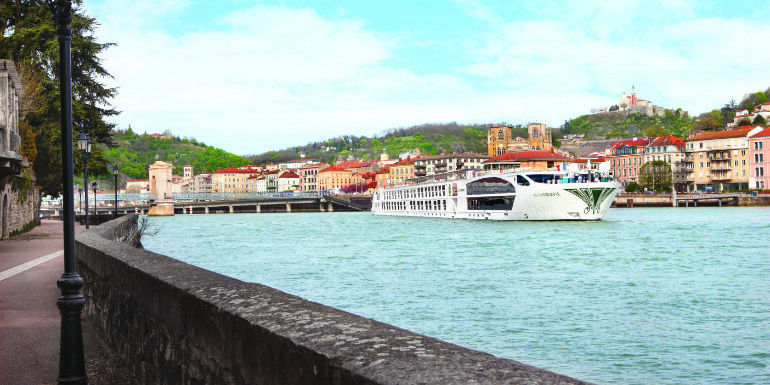 Their terms will put you in the sweet spot of river cruise deals: late fall and early spring. 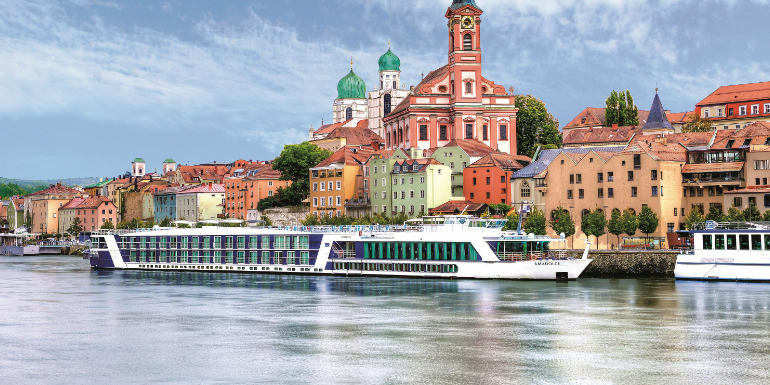 Low-season river cruises give you a unique opportunity to explore the most popular destinations at the least popular times, which means you’ll have low-crows access to places such as Amsterdam, Budapest, Paris, and Strasbourg. Not only can you wander down cobblestone streets filled with mostly locals, but without a plethora of ships on the river, your stateroom won’t end up looking directly into another ship nestled next to yours at the docks during peak season. 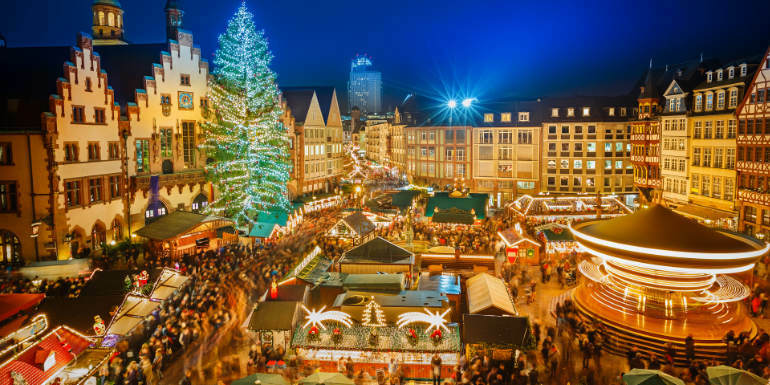 One of the true highlights of shoulder season cruises are the Christmas markets - a tradition dating back to the 13th century - that kick into full swing from mid-November to late December. From the Rhine River to the Danube River, empty squares are transformed into convivial gathering places decked with twinkling lights and fragrant pine trees. River cruises pull out all the stops when you celebrate Christmas on board, offering everything from tree-decorating contests and gingerbread making to a traditional holiday dinner complete with carolers, all at no additional cost. 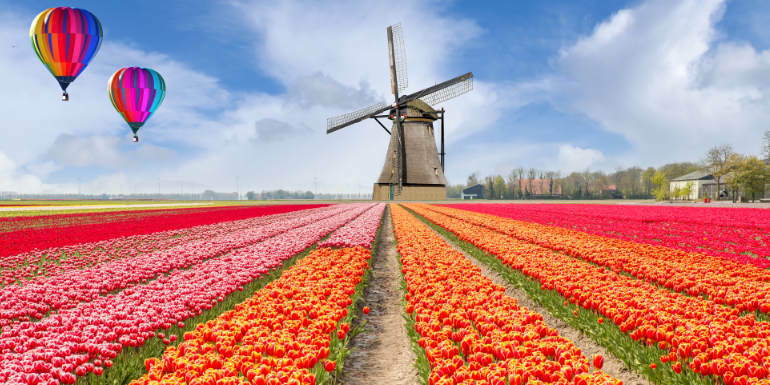 For April sailings, think Paris in springtime, Dutch tulips, and Easter celebrations. 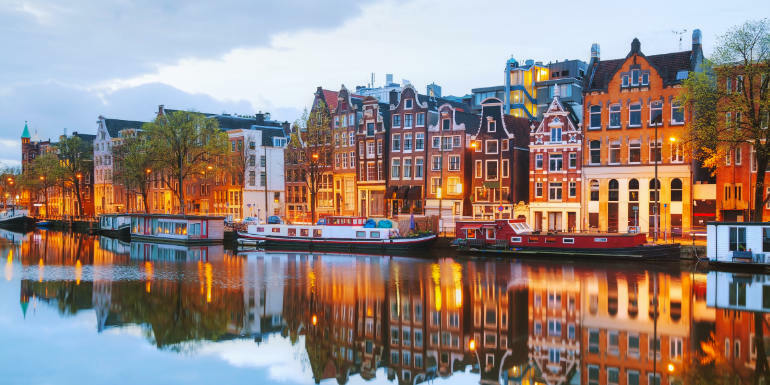 Early, sun-kissed spring is a wonderful time to experience Europe, and you’ll get enormous discounts on shoulder season cruises, even though this may be peak season in popular cities such as Paris, Budapest, and Amsterdam. On AmaWaterways “Tulip Time” cruises down the Rhine, excursions take in the spectacular tulip carpets in Holland’s extraordinary Keukenhof Gardens and visit the lush green countryside of Kinderdijk: the latter is home to the country’s greatest concentration of windmills where the spring winds set everything spinning. Full disclosure: You may not get the bright sunny days of summer on a shoulder season cruise, but since you’re also not cruising down the river looking for spots to snorkel or lie in the sun, your plans won’t be ruined by a chilly day. And, realistically, temperate shoulder season weather is much easier for sightseeing than boiling hot summer days, especially since many historic buildings don’t have air conditioning. To prepare for your trip, check a weather app a few days before you travel, bring layers, and always pack an umbrella and raincoat for seasonal showers. For December and March cruises, you can save money by not booking a balcony, which you probably won’t want to do since that’s when temperatures are the coolest. And remember, the views from the glassed-in lounges are still spectacular whatever the season. Discounts range from several hundred to thousands of dollars, depending on class of room and itinerary, with savings starting at 20 percent and shooting all the way to 40 percent for similar routes at the most advantageous shoulder-season times. Start your research by using our cruise search to find the cheapest prices available. Do you have any advice for someone sailing during the shoulder season? We’ve done a few river cruises in Europe during shoulder season and loved every one of them! It’s a great way to get a fantastic value on an amazing trip!